You’re on the job site when you realize the safety toe boots you’re currently wearing just are not up to the task. You need a pair of work boots that are non-metallic, waterproof, puncture-resistant and safety rated – and wrapped in a neat composite toe work ... (see full details) (see specifications) #RBKRB765. You’re on the job site when you realize the safety toe boots you’re currently wearing just are not up to the task. You need a pair of work boots that are non-metallic, waterproof, puncture-resistant and safety rated – and wrapped in a neat composite toe work boot package. Here at Working Person’s Store, we've got the boots for you. Check out the Reebok Women's RB765 Trainex Waterproof Puncture Resistant EH Composite Toe Boots. These puncture-resistant boots from Reebok are every bit as functional, practical and reliable as you would expect from this popular sporting brand. With more features than a small car, these women’s composite toe work boots have a little bit of everything…and then some. These Reebok non-metallic boots are constructed with a full composite toe cap that meets or exceeds ASTM F2413-05 standard for protective footwear, the are made lightweight and are guaranteed to not conduct heat or electricity. The uppers are made with water resisting full-grain leather while the outsoles are made from dual density, EVA cushion midsoles and durable rubber traction bottoms with 90 degree heels for easy maneuvering. For long work days in these Reebok safety boots, your feet will get you around in the Tailex lining and StarGuard waterproof membrane that ensures feet remain dry where excess water is present. You will also find comfort in the EVA cushion insert with sponge rubber heel wedges. For safety, rest assured your these waterproof composite toe work boots are 100% non-metallic, puncture-resistant and equipped with a heel airbag. You don’t need a head-on collision to use your heel airbag. The airbag is inserted into the heel of the boot for additional shock absorption, making hard floors such as concrete, easier to take. This pair of black Reebok boots meets or exceeds the ASTM F2413-05 Standard for puncture-resistance and are slip-, oil-, abrasion- and chemical-resistant. The non-metallic feature makes this style security friendly. For a great pair of sport work boots, shop Working Person’s Store today to get your very own pair of the Reebok RB765 Trainex Puncture Resistant Waterproof EH Composite Toe Women's Boots! If you liked the Converse C765, then you will love the Reebok RB765. I'm glad they made these Rebook boots for women. My husband has the same safety boots that looks almost identical to this one. I sometimes borrow them when I go to work because they're natural slip resistant and I feel safe wearing them. Luckily I found the women version of them here in Working Person Store! I love these boots! 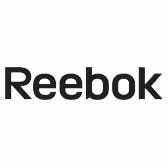 Reebok Boots: Women's RB765 Trainex Waterproof EH Composite Toe Boots is being added to your cart.